We started studying the solar system in Astronomy this week. 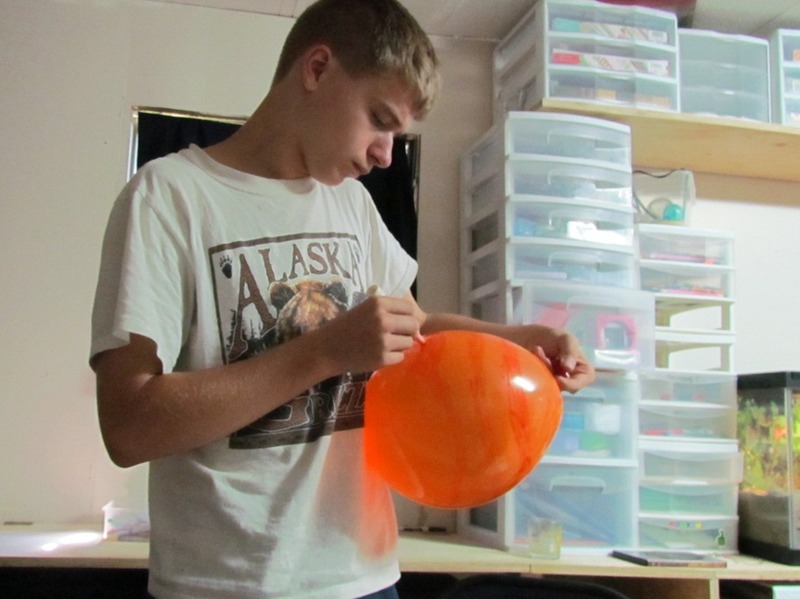 The project was to make a solar system out of balloons. Of course any time you drag out the balloons there is going to be a good time. 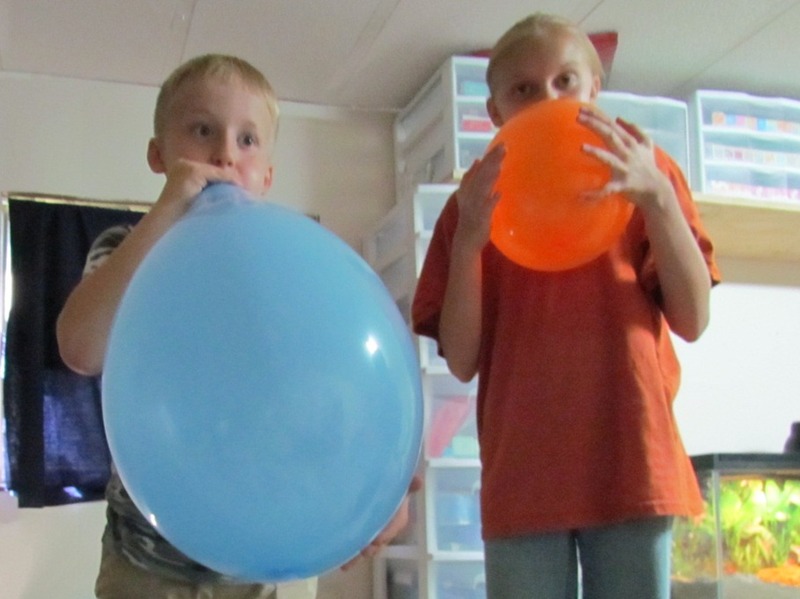 Adam tried to blow up a balloon extra big. 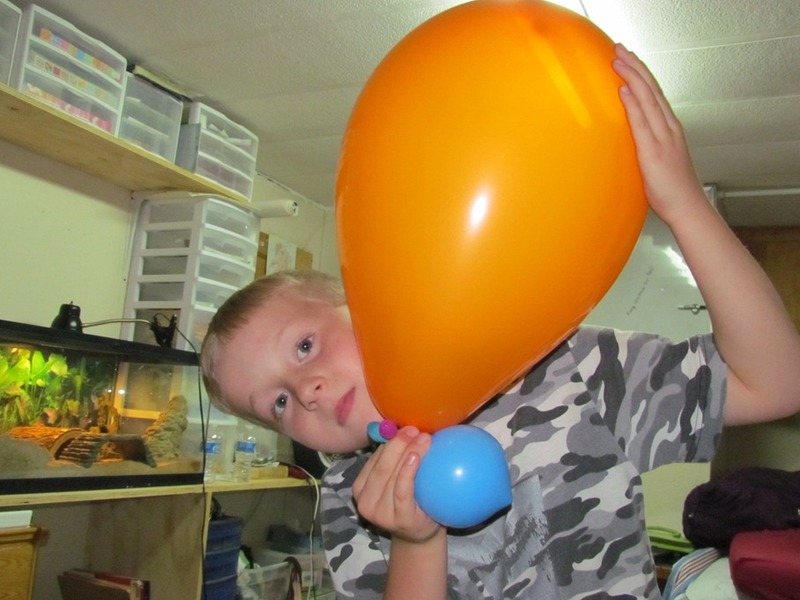 He succeeded, he blew it up so big it popped! Each kid picked three planets to create. 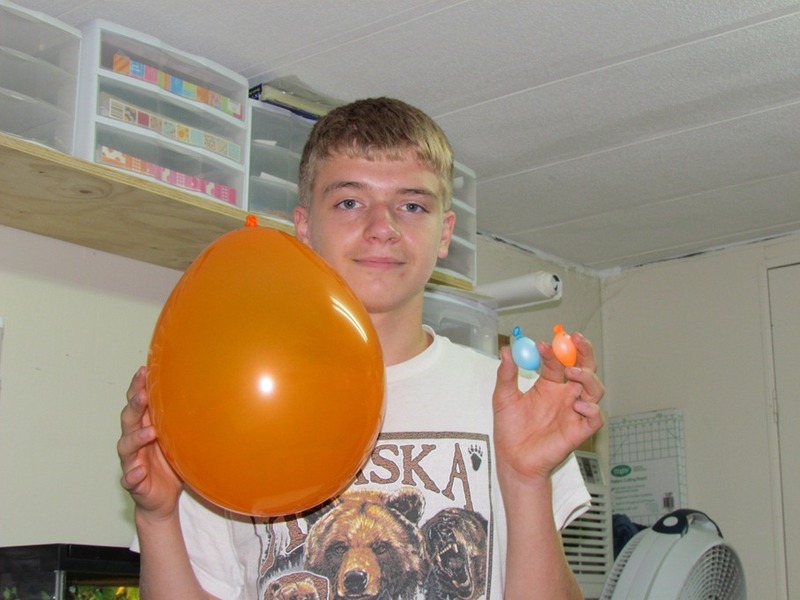 Adam got the Sun (since he was so good at blowing balloons big) and Mercury, Pluto, and Neptune. Anna got Saturn (she wanted to do the rings), Uranus, & Venus. Austin did Jupiter (because he wanted to draw the storm on Jupiter), Earth, & Mars. 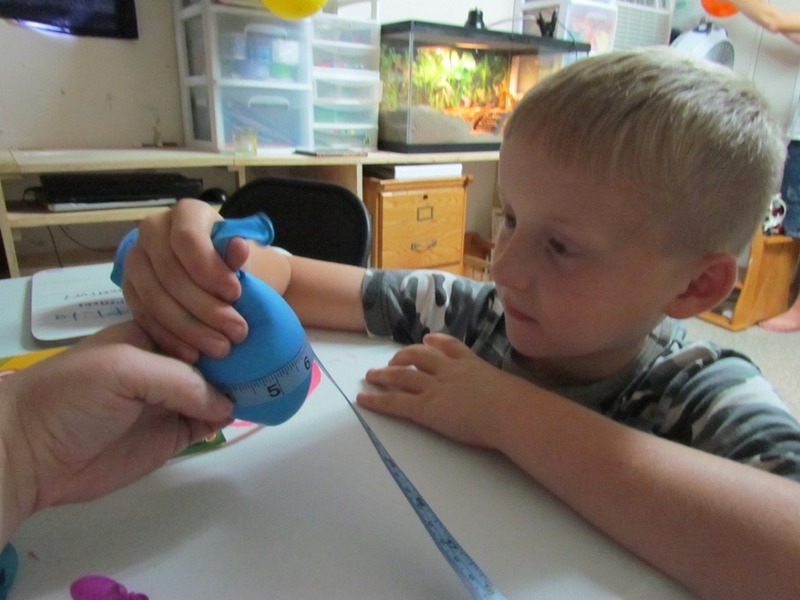 The book had us measure the distance around the balloons widest point to try to make it a true scaled model. The book had a chart we were to get the balloons to match. So during Science we had some math as well! Then we colored each balloon to match the planet it represented. There was a good bit of playing as well. My silly little girl likes to stuff balloons up her shirt and play like she is pregnant. Of course it is hugely oversized to her little body so we pick at her about having a litter. Scary thing is, there is a good chance of her to have twins when she really does get pregnant, twins run in my family and skips a generation. My Grandma had twins sisters but didn’t give birth to twins, my mom had me and my twin brother (he was still born), I didn’t have a twin, so when it is her turn and she has a chance to have twins. 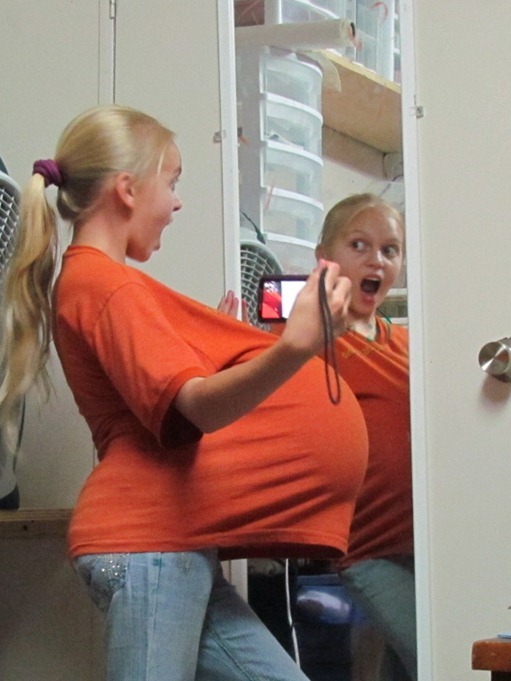 The look on her face is probably pretty accurate of a look if one day she does find out she is having twins! 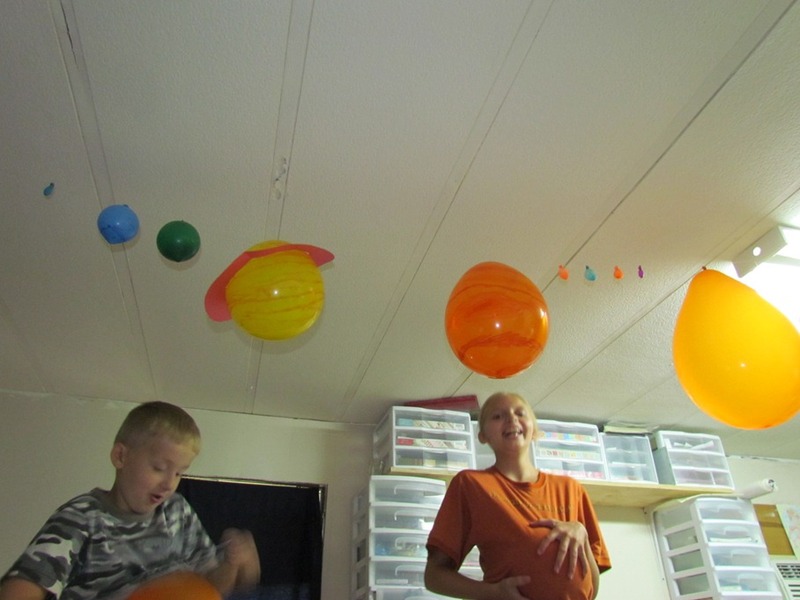 We finished the solar system and hung it from the ceiling. Anna was happy with her new belly, and Adam was stuffing one up his shirt as well. We had a blast. Yep, a typical day at school for us. Ads that are displayed below this point are NOT my ads but those of WordPress.com and are not necessarily approved or supported by Becky Husband or Oh Happy Daze – Back to Basics. If you saw an inappropriate ad, please report it! 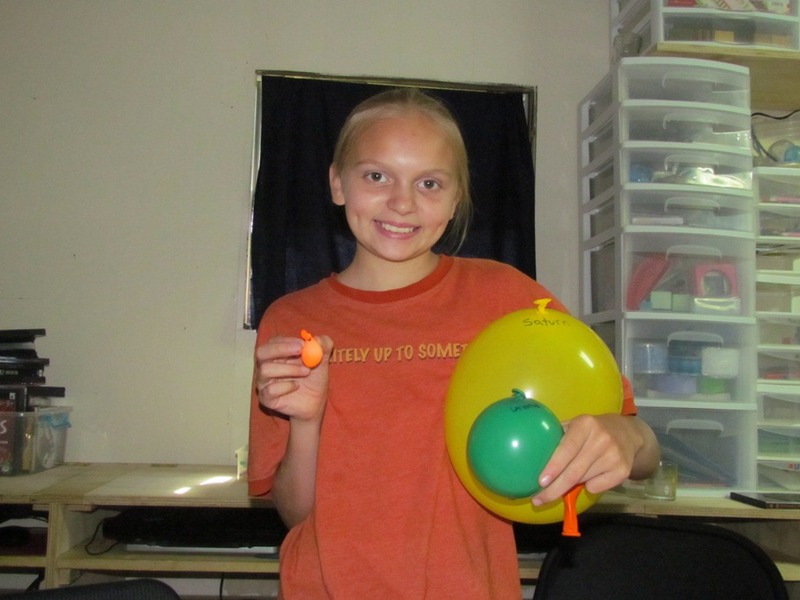 Posted on July 16, 2011, in Homeschool and tagged Apologia, Astronomy, Science. Bookmark the permalink. 1 Comment. LOL, just got a chance to read this and it gave me some chuckles as usual! Awesome!